I shared the Valentine number mats for 1-10 a couple days ago and immediately had requests for numbers 11-20, so here they are! 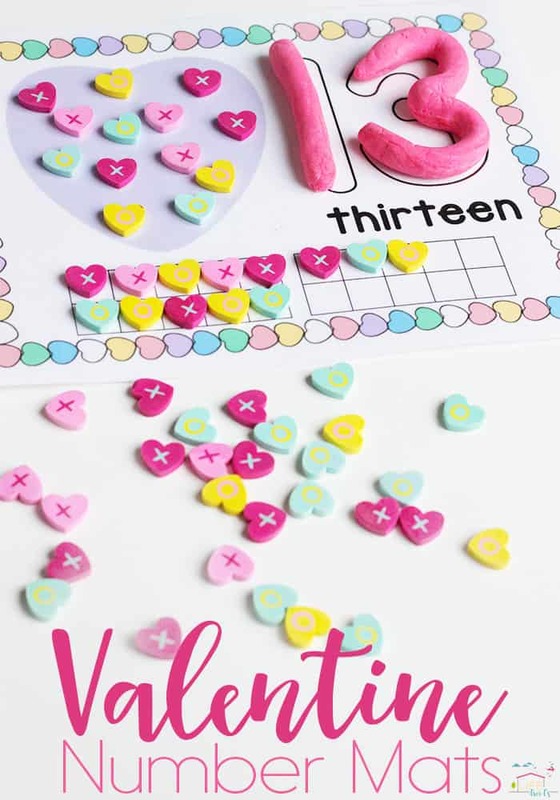 These free printable Valentine’s Day Number Mats for 11-20 are a fun way to learn! You can use a different material each time you play with them to make it feel like a different activity each time. 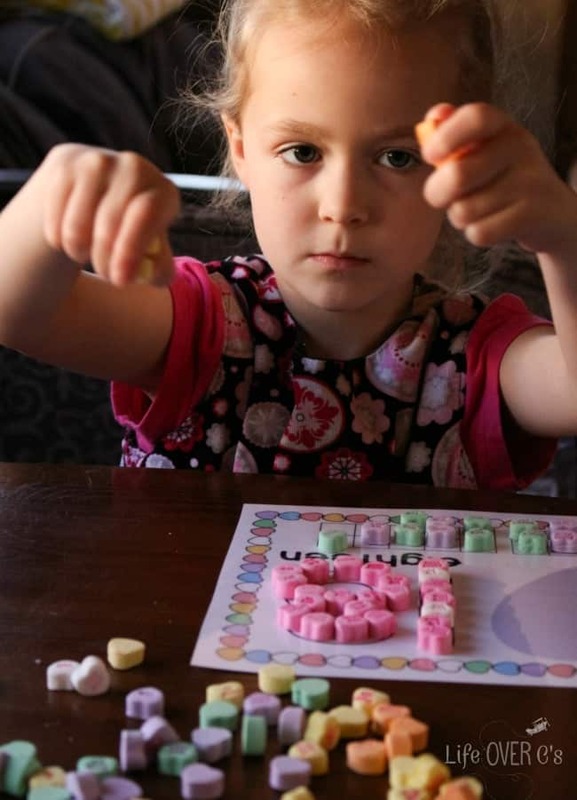 By combining, one-to-one correspondence, numerals, words, and ten-frames on one activity, kids have the opportunity to make connections between the different formats of the numbers. 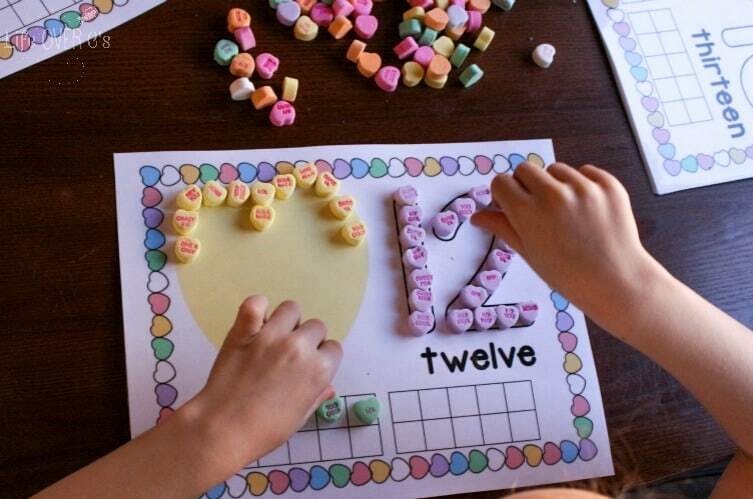 Have your child build the numbers in multiple ways. 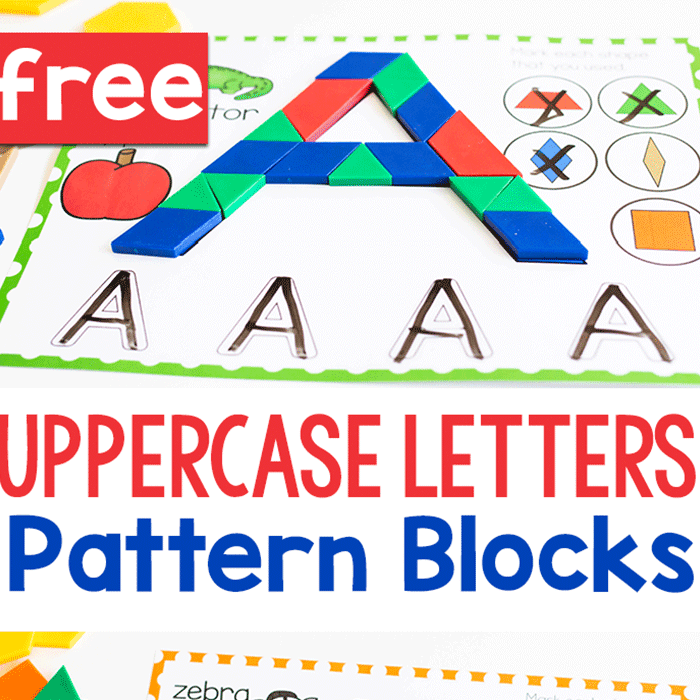 Then, she can trace the numbers and the words with her fingers to help internalize the shapes of the letters and numbers. We have also created the numbers with play dough and traced them with dry-erase markers/crayons. 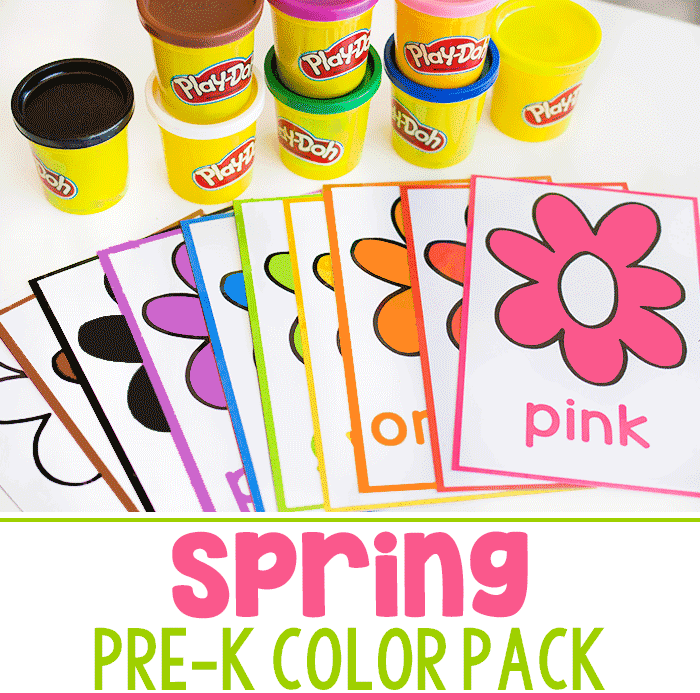 Rolling out the play dough and picking up the tiny objects makes this activity a great opportunity to work on fine-motor skills as well. 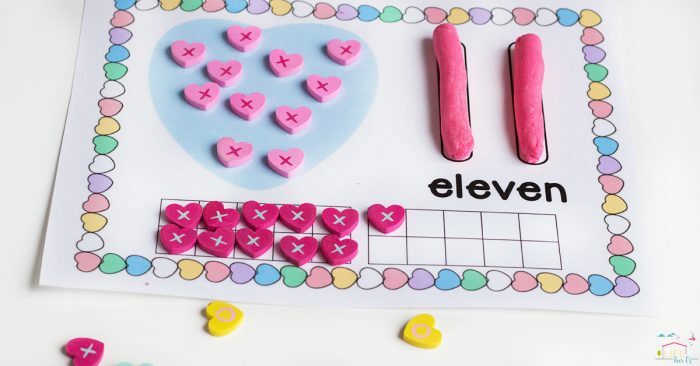 Jaida had a blast making patterns with the conversation hearts as she created the number representations! 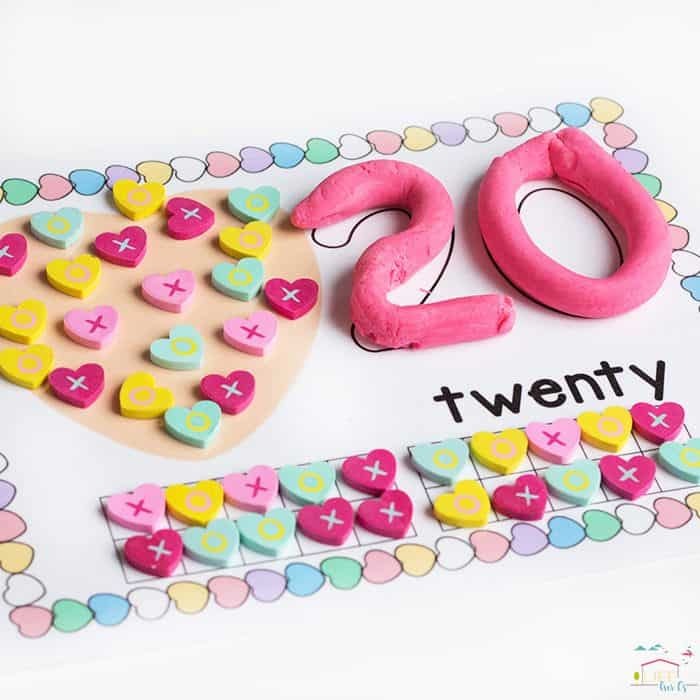 We have used play dough and candies along with pom poms and these cute erasers. Would you be able to make these in Spanish?!? 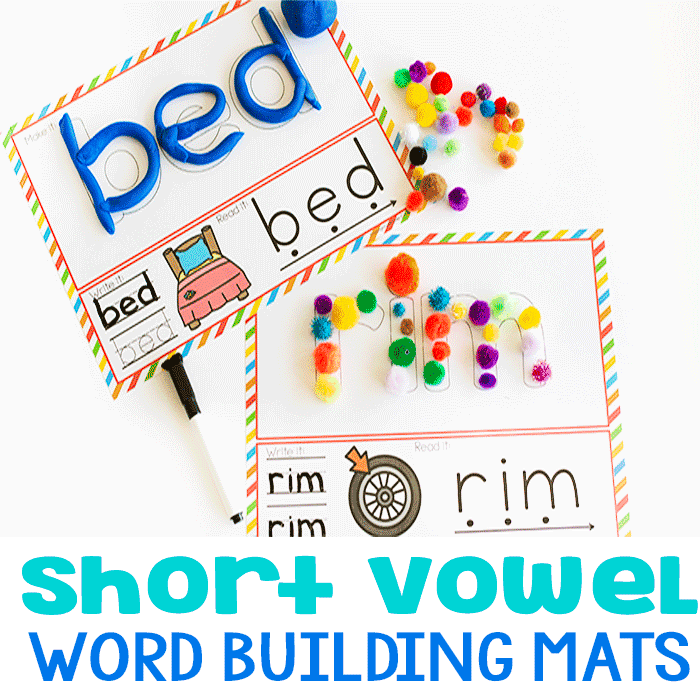 Due to time constraints, I do not have time to make all of our resources in Spanish.